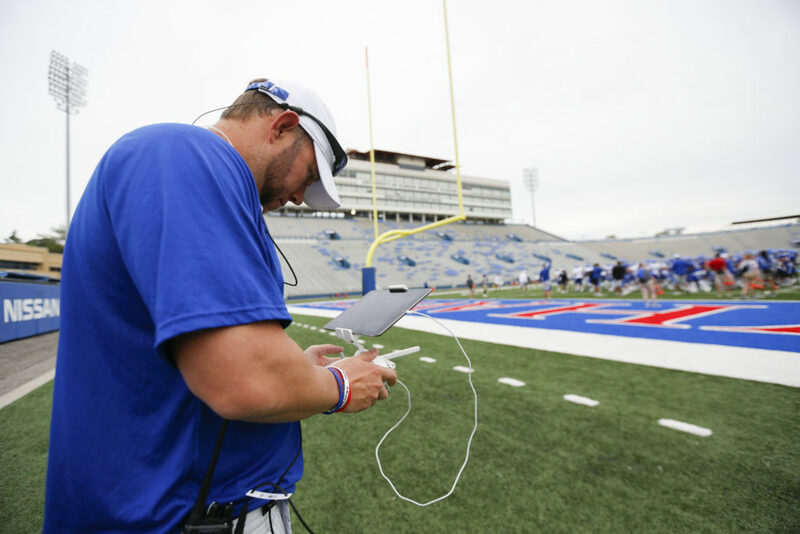 FILE — Jeff Love gets a live view from a drone on an iPad, which connects directly into the aircraft's flight controller during practice on Monday, Aug. 15, 2016 at Memorial Stadium. 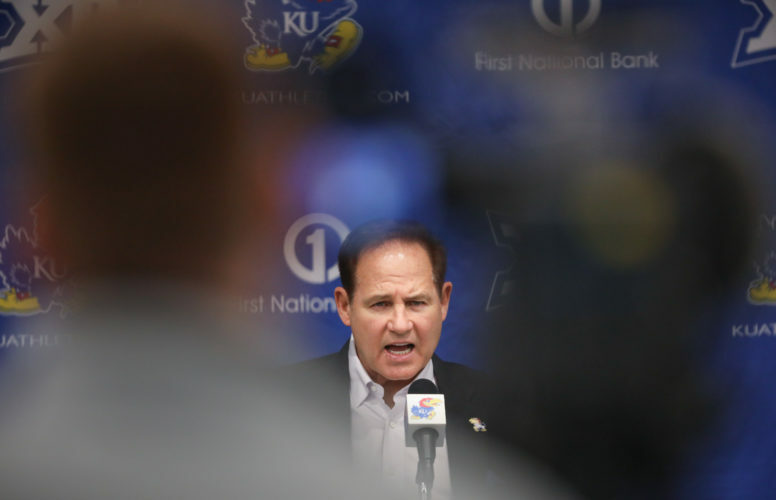 Love now serves as a full-time assistant on the Kansas football staff, which had a spot open midseason once David Beaty fired Doug Meacham. 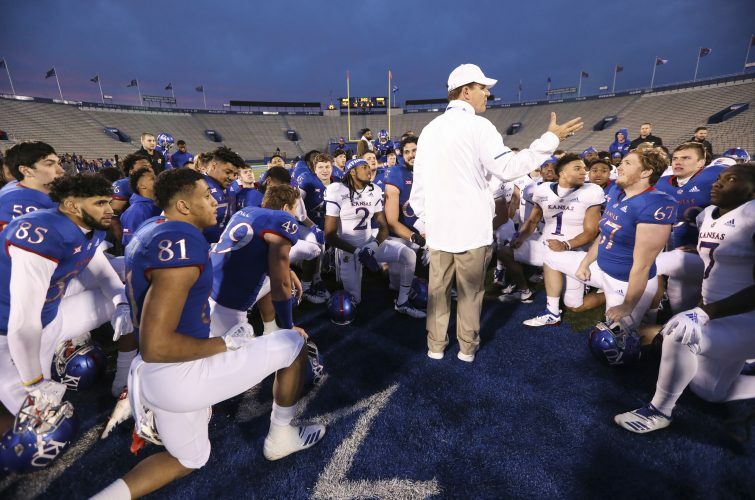 When Kansas football coach David Beaty fired his team’s second-year offensive coordinator, Doug Meacham, during the Jayhawks’ bye week earlier this month, the move opened up a spot for a full-time assistant on the staff. Beaty said Tuesday during his weekly press conference he used that opportunity to promote Jeff Love, already working for the program as its director of football technology. Now Love, who first joined KU in the summer of 2016, will work as a direct assistant to Beaty, who named himself offensive coordinator and quarterbacks coach upon firing Meacham. 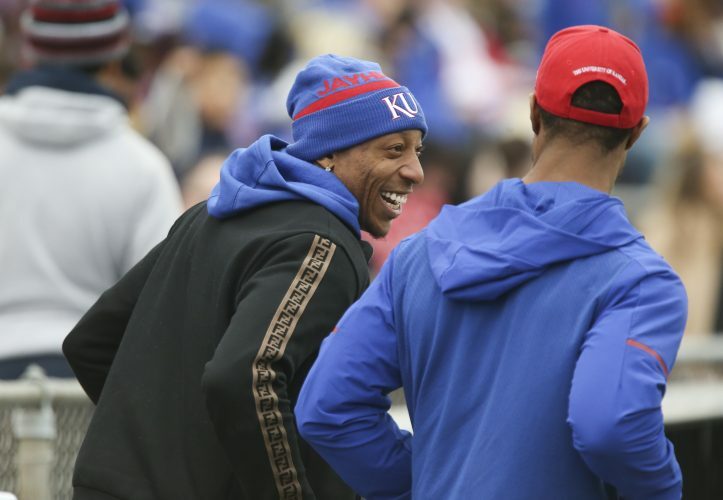 A 2006 graduate of Central Florida, Long’s first stint at KU came from 2008-10, when he worked as a video coordinator for both Mark Mangino and Turner Gill. He left KU to coach defensive backs at Occidental College, in Los Angeles. Love then soon moved on to Houston Baptist to join forces with former Kansas defensive coordinator Vic Shealy, who started the program from scratch in 2012. Love coached QBs and receivers at HBU. However, Beaty balked at the notion that Love is the closest thing he has to an assistant offensive coordinator. 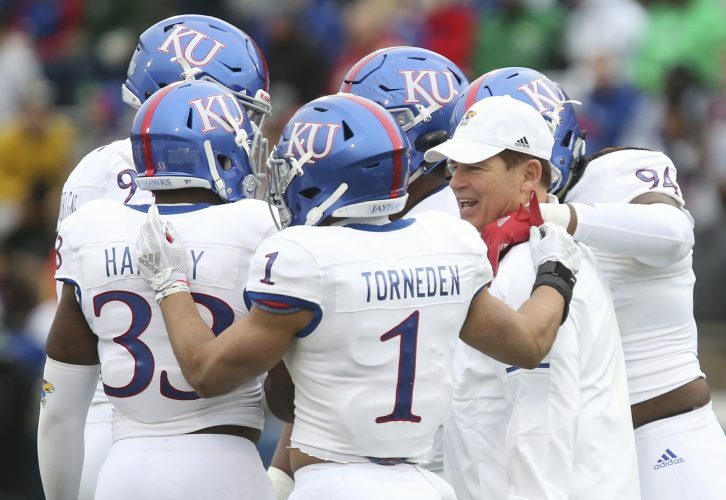 KU’s fourth-year coach insisted game plans come from the offensive staff — Beaty, running backs coach Tony Hull, receivers coach Justin Johnson, offensive line coach A.J. Ricker, tight ends and fullbacks coach Garrett Riley and Love — breaking down opponents as a group. During games, Love positions himself in the booth, where he can communicate with Beaty via headset about the opponent’s defense. Beaty had to set aside some of his regular offensive coaching responsibilities earlier this week, when the team learned the brother of cornerback Elmore Hempstead Jr. had been shot and killed. According to the El Dorado News-Times, Michael A. Edwards, Hempstead’s brother, was found dead at his residence in Lisbon, Ark., early Sunday morning. He had been shot at least two times. “It’s just a terrible situation,” Beaty said. A junior, Hempstead joined the KU football program this year as a transfer from Fort Scott Community College. Hempstead, who is from Smackover, Ark., has played in seven games, contributing nine total tackles, as well as an interception and two pass breakups. A starter in 22 games of his KU career, including every game this season before the Jayhawks’ home game against TCU, safety Mike Lee didn’t check into the Jayhawks’ Big 12 win until the second quarter. Asked what led to Lee coming off the bench, Beaty pointed to “standard competition” and how KU’s defense prepared for the game during the week leading up to the team’s rare conference victory. “How are you managing what we’re doing defensively and game planwise? 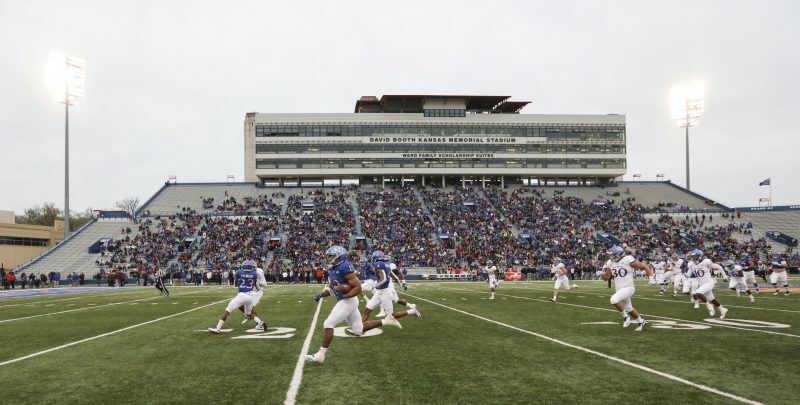 Those things are critical,” Beaty said. The coach said KU defensive coordinator Clint Bowen felt “better” about starting Jeremiah McCullough at safety in place of Lee this past week.